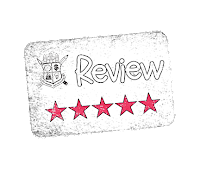 Today's Frugal GM Review is on a freebie product from my "personalized suggestions" list over at DriveThruRPG. 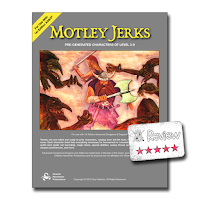 I have to admit that the title of Motley Jerks drew me in, but what cinched it for me was what this product actually was: a collection of 1st Edition/OSR pre-gens. When I was a HackMaster 4th Edition GM I ran quite a few convention tournament games, either as a table GM or a Head GM. The biggest/hardest part of the job was writing/editing adventures for tournament play, but the second biggest (and least fun) was making pre-gen characters. Pre-gens took a lot of time, there were tons of details to keep up on and even if it was a pre-gen only tournament, a lot of your work went unused. Even though I don't really run many convention games, Motley Jerks still hit me as something I want "just in case". The PDF is 2.68 MB, unsecured, and 27 pages as advertised. Normally this isn't the type of product I'd worry about too much when it comes to being secured, but I'm glad it isn't because I could easily edit the text to change/add something if needed. Don't like the Illusionist's spell selection? No worries, just change it. I do wish the PDF was bookmarked, but if it was that important to me I could easily add my own bookmarks. The 21 pre-gens range from level 3-8 and are portraided (inside joke for some of my KoDT friends) from high-level to low level. I have to admit that on my initial pass I didn't read the cover/title/explanation page and it seemed that Chaotic Henchmen Productions had screwed up and had some duped pages. What they did do is add additional pages for the shorter demi-humans so each one of the little buggers had two different movement rates based on how you ran your game. I really liked the attention to detail on these pre-gens. I think, based off of my experiences, that many pre-gen creators would skip adding up and factoring equipment encumbrance in their move rates. Also, computing modifiers for AC on to-hit rolls for each weapon...nice touch. 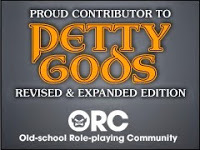 In my experience if that isn't already part of the PC sheet, it isn't going to be used in-game. 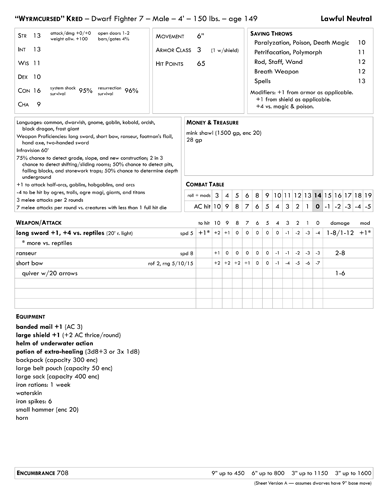 The pre-gen sheets are easy to read, seem easy to use, and at the price of free, Motley Jerks is a good grab. If I had one real criticism it would be that instead of 21 different pre-gens I'd rather have 7 specific pre-gens shown at three different levels (3rd, 5th, and 7th). Now I do realize this might just be a personal bias since that is how I generally made my pre-gens. I'm glad I downloaded Motley Jerks just so I have these guys when needed, either as a GM or as a player trying to join a pick-up game.